I’m frequently hard on myself in light of a mistake I make, no matter how small it is. 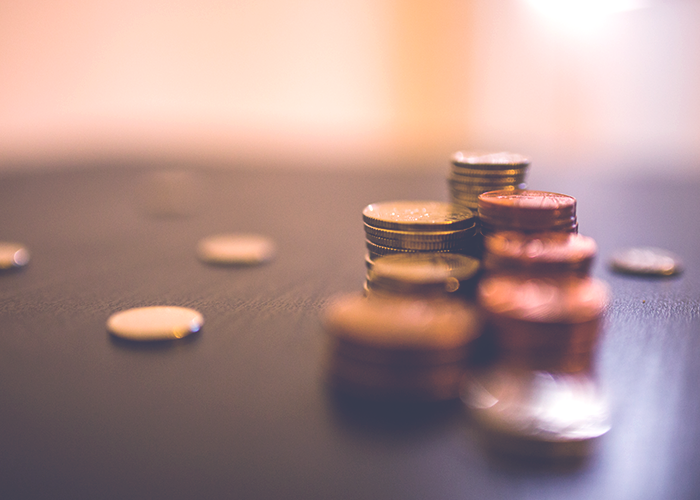 And part of the reason I’ve always felt slightly adverse to investing is because it’s difficult for me to swallow the idea of potentially losing my hard-earned money. I’ve never enjoyed gambling, betting money on card games, or even throwing $10 into those Powerball jackpots everyone goes in on at the office. I really dislike the loss of control, and feeling like I don’t have ultimate power over what happens to my money. To my untrained eye, a lot of investing seems like a game with no sure bets. However, I do know that being a successful investor means having a combination of certain skills, doing a hefty amount of research, and having a concrete strategy in place. I, personally, don’t have a lot of experience with investing, and one can only read so many articles about what common mistakes to avoid, until it all starts to sound like a different language. But, I am becoming more comfortable with the prospect of carefully selecting a few companies to try my hand at investing in. Hopefully, my experiments with very small amounts of money with help me feel more comfortable with the process. 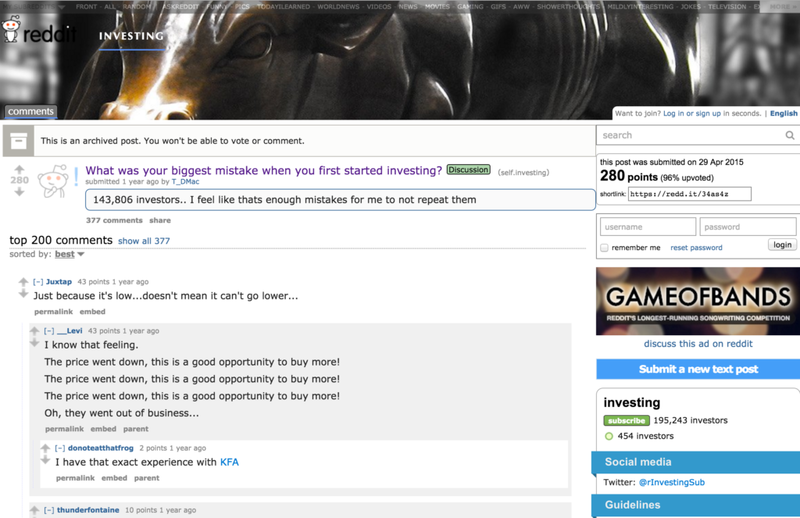 In order to gain more wisdom from the seasoned investors willing to share their mistakes and knowledge, I’ve rounded up eight stories from people confessing their investing mistakes. Take a look below! 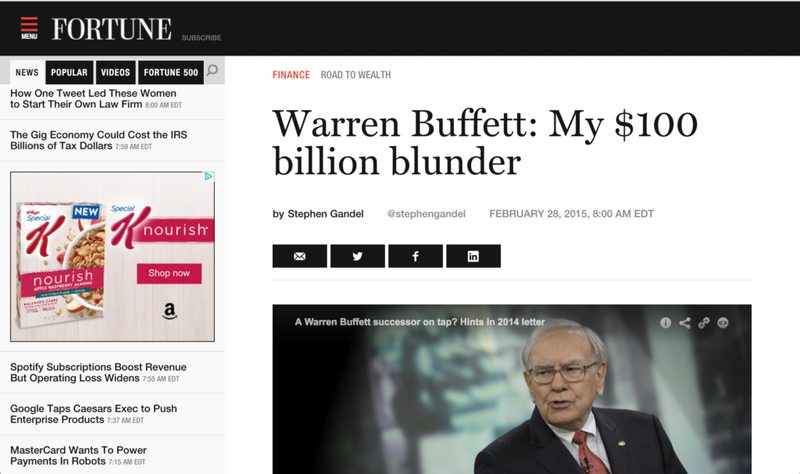 Obviously, a Warren-Buffet-level mistake is not going to be one you or I could easily relate to, but this story goes to show that even the smartest and most capable investors make mistakes. Buffet talks openly in one of his annual letters to shareholders, about a mistake he made back in 1967 (which has apparently haunted him for years). He talks about how he made a wrong call, and decided to buy a company and roll it into the one he already owned, rather than buying it through a separate entity. This would have changed the way they captured the investment gains. The article says, “Buffett says if he had bought the insurance business through his investment partnership hedge fund, which he still ran at the time, he and his investors would have captured all of the investment gains he has created over the past 50 years. Instead, he has shared those gains with the public shareholders of Berkshire Hathaway.” I can’t quite grasp the complete scope of the situation, but I know 100 billion dollars is a LOT of money. 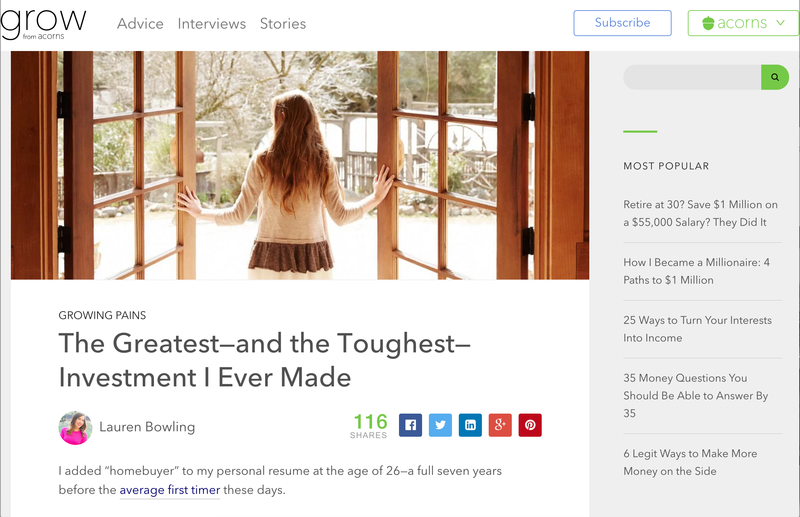 Lauren Bowling writes about her experience with the biggest and toughest investment she ever made — buying a home. She talks openly about the error she made throughout the process, which was working with the wrong person, who ended up taking financial advantage of her. She writes, “I think the most expensive error I made was not properly vetting my first contractor. Real estate agent friends and contractors I’ve worked with since have confirmed what I suspected then: I paid close to $75,000 for just $40,000 worth of work and upgrades. He knew I was young and inexperienced, and took advantage, consistently running late and going over budget.” It’s important to always thoroughly research whoever you’re working with, ask around for multiple references, and try your best to make sure that you’re working with the right people. 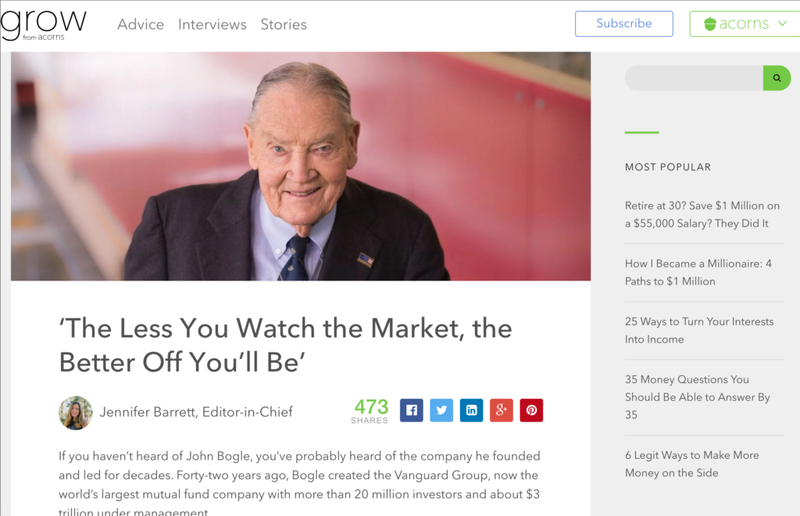 I had never heard of John Bogle before, but he’s incredibly well-known for creating the Vanguard Group. The Vanguard Group is the “world’s largest mutual fund company with more than 20 million investors, and about $3 trillion under management.” This guy is 87 years old, and he continues to share his wisdom and wise take on investing, which is very simply “avoid high-cost funds. Invest in indexes. Put your money in a mix of stocks and bonds.” Bogle talks a bit about mistakes he’s made in the past, and urges others not to believe that “the past is prologue,” when assessing whether a stock will be lucrative in the future. Definitely worth a read! 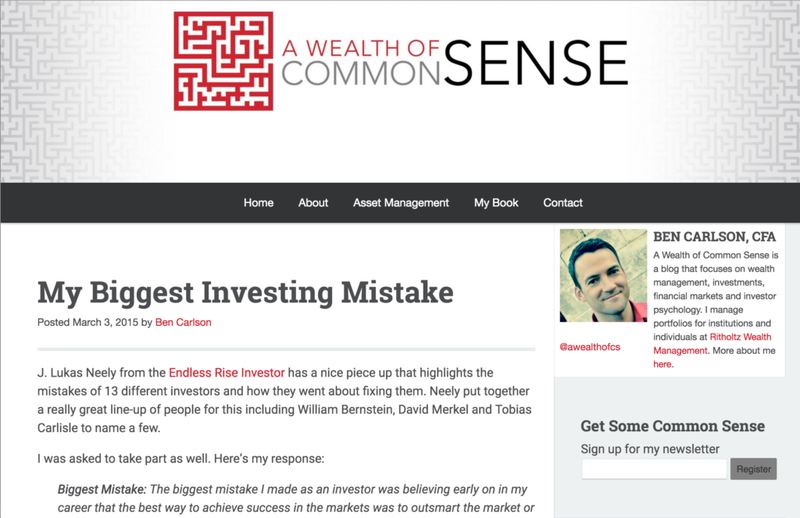 Ben Carlson, a portfolio manager for institutions and individuals at Ritholtz Wealth Management, talks about a very common mistake he made as a young and inexperienced investor. 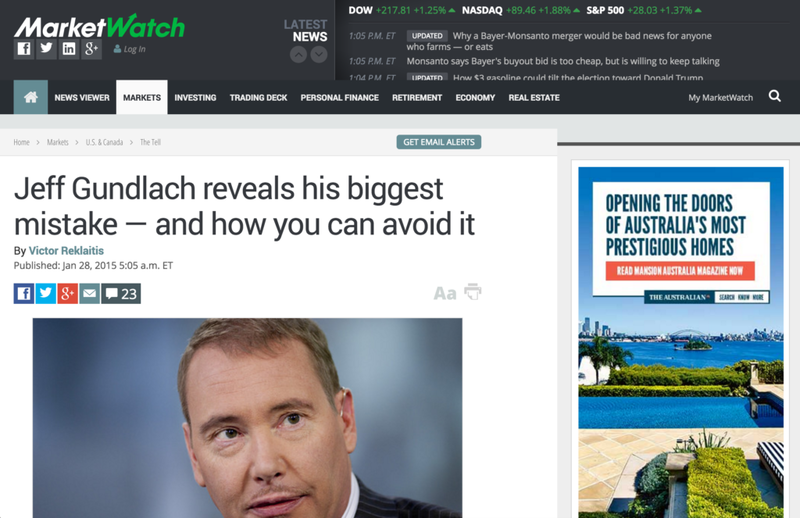 He says, “…(I) believed early on in my career that the best way to achieve success in the markets was to outsmart the market or other investors. I was just out of business school and got the CFA designation. I was under the impression I could do no wrong.” His story reminded me of so many other articles I’ve read about the most common investing mistakes. Experts say to take it slow at first, formulate a concrete plan, and do you research! 7. 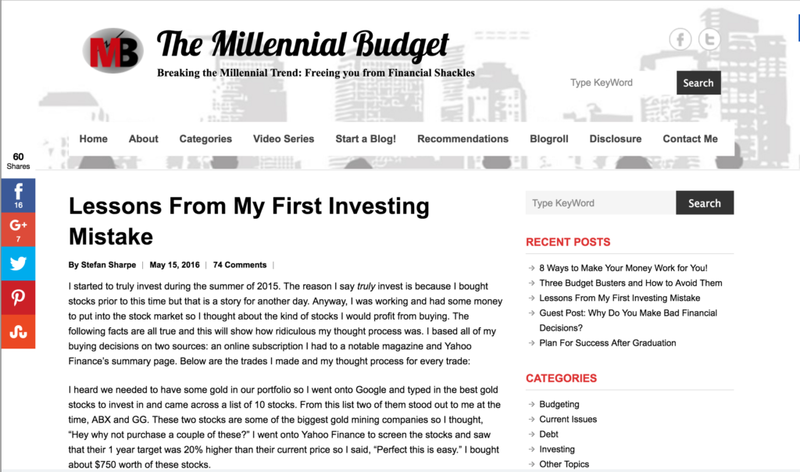 Getting Cold Feet — What Was Your Biggest Mistake When You First Started Investing? 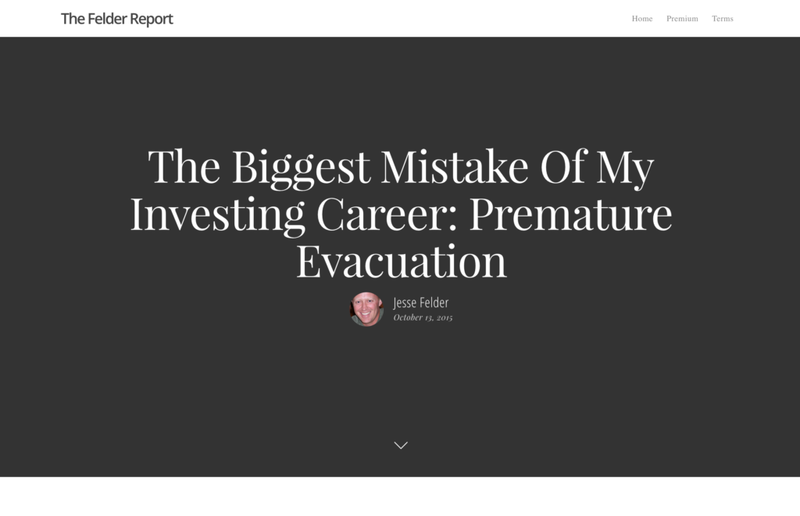 Jesse Felder, who runs The Felder Report — a website with a focus on investment research — writes about the mistakes he’s made throughout his investing career. Those mistakes mainly revolve around selling something way too prematurely, and not holding on long enough to make a LOT of profit. He reflects on some specific examples of his biggest mistakes, mentioning Starbucks, Devon Energy, and few others. Felder says, “I bought a slug of stock well under $20 per share. The price of natural gas rose almost 10-fold after that. I sold the stock at $60 a few years later. As the oil price shot to $150 the stock doubled again from where I sold it.” Obviously, hindsight is 20/20, and it’s only after the fact that he’s able to see just how high the stocks went. However, it’s a useful lesson because it teaches someone to have patience, and to exercise long-term commitment to smart and well-researched investments that they believe will do well.